BLVDAVE: In Case you missed it:: LeBron James makes animated series from his popular commercials "The LeBrons"
In Case you missed it:: LeBron James makes animated series from his popular commercials "The LeBrons"
NBA star LeBron James has a new cartoon called The LeBrons, which has made its debut on the world wide web a couple days ago, and is sponsored by HP and Intel, as Google points out. I also saw a Bing commercial in there. So in case you missed it, BLVDAVE got you covered !!! 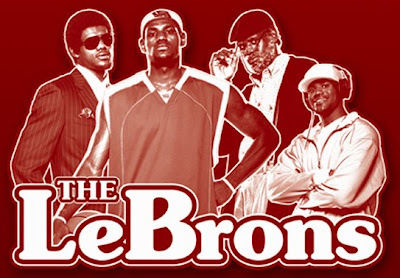 Below you will find the first 2 episodes of "the LeBrons" , and a youtube compliation of scenes from the popular "LeBrons" commercials. Maybe this cartoon will bring LeBron back into his former "Glory days" before he took his talents to SOUTH BEACH !!! Enjoy ! !